This is the fourth page of our Penguin recovery guide. The first page discusses saving your domain through balancing your on-page keyword density to match the overwhelmingly high exact-match anchors from incoming links that triggered a Penguin penalty. If that doesn’t work, our second page discussed Google’s disavow tool, when to use it (or not use it). The third page discussed balancing the negative signals that triggered a Penguin penalty by providing positive signals, or removing other negative signals. However, perhaps you’re not completely attached to your domain. If you can get your rankings back, you may consider getting rid that domain in exchange for a new domain that isn’t penalized. While this isn’t something a band can easily do, if this sounds like it fits your situation, there is another method of fixing a Penguin penalty that you can consider. Content is an asset. Good content that ranks well is never penalized. If your site stops ranking because of bad links that trigger a Penguin penalty, your content has not been penalized, only the domain. Not everyone has the option of moving their domain, especially if it is a domain you care about, or a company brand that is well publicized — you cannot simply move your domain. However, if you don’t care about that and just want your rankings back, this part of our guide is for you. You can 301 your domain and receive your rankings back. Let’s talk about this, however, because it is a drastic step that you only want to make if you are actually only penalized by Penguin. The first page of this guide discussed balancing your on-page keyword density against incoming exact-match anchor links. If you have not done this, 301ing your domain will not help. Your rankings will come back, but will shortly thereafter fall again. When you 301 a domain, rankings often appear again. When they don’t appear again after a 301, it is usually because you were hit by some other kind of penalty, or received an abundance of other types of negative signals along with the bad links that you accumulated. Therefore, before you consider 301ing a domain for returned rankings, I urge you to check out our on-page SEO guide to make sure that isn’t the culprit. Next, check out our Panda guide to make sure that you aren’t suffering many negative factors in that aspect. There are many positive signals that Panda is searching for, including building up author rank, providing a superior user experience and acquiring social signals. However, if you just want to fix your rankings ASAP, save these new positive signals for the domain you’re going to transfer to. Why does a domain redirect bring back rankings? There are negative signals (and not all of those are Penguin) that are shed with a domain redirect. Consider for a moment the Panda user experience signals. People click a link from the SERPs and then click the back button to search again on Google, causing a high bounce rate. 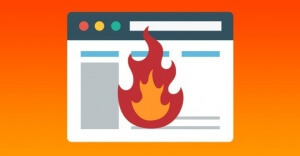 Perhaps people don’t click through to your site because your domain isn’t branded and people don’t know it — and after testing Google determined that you have too low of a click through rate. Nobody searches for your brand, even after Google has featured your domain favorably for months. These are negative signals that are dropped by a 301. The next reason that you regain rankings is that Google has a time-delayed reaction to the links your site receives. Consider your original domain — it perhaps received bad links over a period of months. 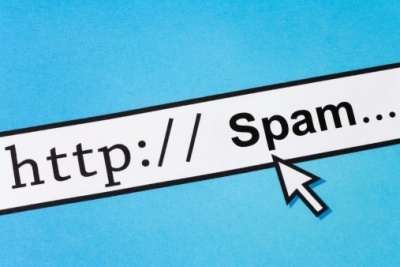 Google will often delay how a link benefits your site for at least a month. The life-cycle of those links were most likely something like this, slightly optimizing (you raise a little in the SERPs), more optimizing (you achieve a ranking in the teens), then even more optimizing (top 10 of the SERPs), and then finally over-optimizing (nowhere to be seen in the top 1000 results). 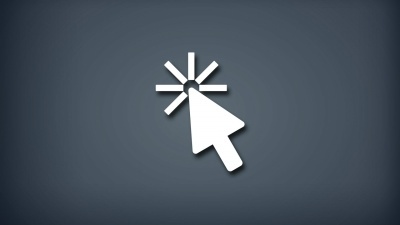 When you redirect your domain, the new domain will go through this process all over again. 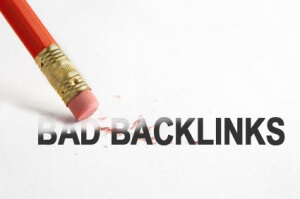 While Google immediately credits the new site with the previous site’s rankings (as if it wasn’t penalized), the negative aspects of the links the site has received will still eventually catch up to it. At some future point, those links will again be over-optimizing. However, you could go a few months before the Penguin penalty hits your new domain. Therefore, it is crucial when you redirect a domain, that you immediately begin taking action to provide positive signals to the site. You want to prevent the inevitable crash that will happen if things remain the same. Those negative Panda signals will come back, if you do not improve the site’s user experience. 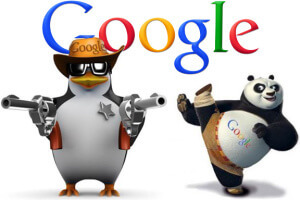 If nobody searches for your site, even after Google has featured your new site favorably for a while, the same old Panda negative signals that helped to ruin your former domain (along with Penguin) will work towards ruining your new domain. Finally, the re-over-optimization process has begun once again. 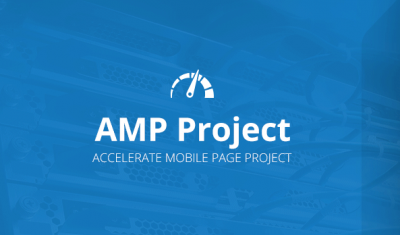 Your site will start to receive optimizing benefits of those links after a month, and they will continue providing over-optimizing signals until your next domain crashes. Your goal will be to provide plenty of positive signals to Google, in the form of author rank, social signals, positive user experience signals and excellent on-page SEO, in order to cancel out the negative effects of Penguin on your new domain — before Penguin destroys the rankings on your next domain, as it did the first. What’s funny is you can wait until the 2nd domain crashes, then 301 it to a 3rd domain and continue the process. I know of a guy who numbered his domains similar to example1.com, example2.com, example3.com — where when the 2nd crash happened, he already had the third site already set up, ready for getting transferred to and begin ranking. This is beginning to resemble a churn-and-burn operation, which I typically like to avoid. My interest is in stable rankings. I don’t like to wake up in the morning only to discover all my rankings are gone. Therefore, if you take this route of 301ing to a new domain, I highly recommend providing all the positive signals you can, in hopes of canceling out the negative signals (low quality link packages) that tripped Penguin in the first place. Balance your on-page SEO. This is covered on page one of this guide. You will want to make certain that your on-page keyword density is reduced in proportion to your incoming exact-match anchors being on the heavy side. 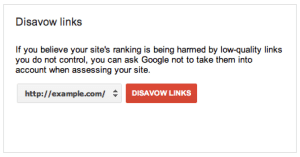 If on-page SEO balance didn’t work, consider cases where you may want to use Google’s disavow tool and file a reconsideration request. The majority of the time this will not work for your site, but under certain circumstances (if you actually have a manual action you see in GWT), this may be of benefit. This is covered on page 2 of this guide. Next, consider if it is a branded domain which you don’t want to lose. If that’s the case, immediately begin building positive signals to the site, to overpower the negative link signals that tripped the Penguin filter. This is discussed on page 3. 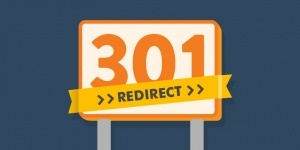 If you want fast rankings, and don’t care as much about the domain itself, consider doing a 301 redirect to a new domain. Thereafter, build positive signals — because eventually the negative signals (from both Panda and Penguin) that caused your former domain to crash, will catch up to the new domain and cause it to fail as well.